The ASC conference will address topics regarding the challenges underwater robotics face. Academic and industry professionals will share their experience and vision on how to solve problems and improve the current state of technology. Tuesday May 3rd, the conference will start at 9:00 am. Why be tethered to old conventions of underwater exploration? Coral reef mapping losing low cost remotely operated vehicle. 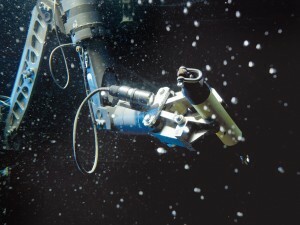 Inspection class ROVs: the pickup trucks of the subsea industry. Survey of thruster design principals for underwater robots. components for the pressure-tolerant usage in deep-sea. Optimizing seaglider performance utilizing a annular wing. Please download the agenda here. For guests arriving on May 2nd we invite you an informal get together, details to come.